Having started back in the early 90s from Bilbao, Panda has crawled its way among the best online security companies with a proven record of effectiveness and impressive features. Still, there is great debate as to whether or not its performance is stellar and the malware detection is accurate. After some controversial results by labs such as AV-Comparatives and AV Test, we feel the need to dig a lot deeper and put Panda to the test. This is why we have launched a thorough review, which will clear any vagueness and uncertainty about Panda Antivirus. There is a solid solution provided to the users who turn to Panda antivirus, including modern technology and advanced features that make it impossible for viruses and malware to penetrate their system. Since this is a cloud based antivirus option, there is always the danger as to the overall security that can be offered to the customers. Especially after the recent 4chan scandal, cloud services have been struck really hard and this is something Panda has got to confront with efficiently. Let’s have a look at the numerous aspects of this unbiased review of ours, shall we? There is nothing simpler and more straightforward than the installation process of Panda antivirus software. Once you pay a visit to their official website, you will be urged to download the respective option that will cover your needs to the fullest. 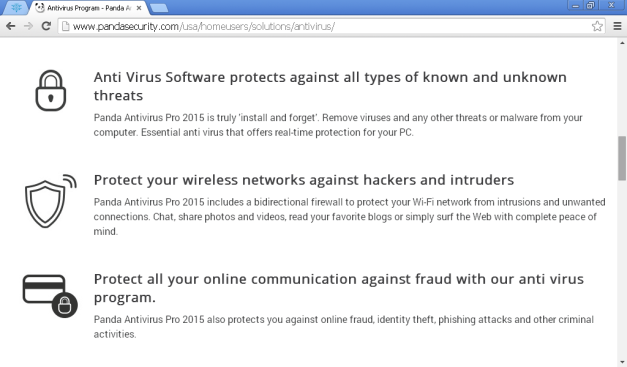 Of course, for the free version you ought to get redirected to their cloud antivirus website. By clicking on a simple box, you get all the info you need on your device. From then on, you follow the guidelines requested of you and you complete the procedure without any delay whatsoever. 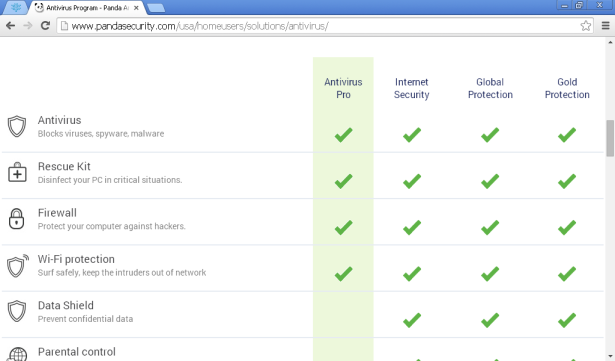 Its interface is quite robust and users can handle all the functions of the antivirus software with a click of a button. It is cool to manage and you will be hooked by the flower, which is the pretty much the trademark of Panda! Moving on with the review, there are various different solutions for home users (as well as businesses of all budgets). First of all, there is the free version which does not cost a single penny. Apart from that, there is the Pro version which is offered at $39.99 for a whole year and even lower fees for longer commitments ($69.99 for two years and $89.99 for three whole years). The great thing is that secure payment is guaranteed, with abundant payment methods enabled. To be more specific, credit and debit cards are accepted and the same goes for PayPal and bank transfers. Of course, 30 day full refund guarantee is available for all the people who wish to experiment with the services prior to completing their purchase! This is really where Panda can pride in offering a solid and thorough solution. First and foremost, there is the option of providing top notch remote-control diagnosis for free. So, if you are dealing with an emergency and the scenario keeps getting worse and worse, you can count on the tech support of Panda for a direct and efficient solution. Besides that, you can contact them via an email or check through the knowledge database, call them or navigate through the numerous forum topics and blog posts. As you can imagine, this is supreme tech support and help for all the Panda users worldwide. Overall, Panda is able to offer reliable protection to all the users who choose to trust their products. As we have found out after testing, there is a great firewall available for making sure that nothing stands in your way of feeling secured online. Additionally, there is a rescue kit that disinfects your PC in cases that are regarded as critical. Anti-spyware and features against malware, adware and other viruses are great and you can get them, regardless of the plan that you have chosen to use. On the other hand, there are some truly trustworthy features that add to the protection you are entitled to on the web that are only available to specific plans. For instance, parental control is not offered at Antivirus Pro and the same applies to the password manager or the online backup option. So, if you are particularly interested in certain aspects of real time web protection, you need to study the services offered and then make your decision. This can be a bit tiring and confusing for some people, along with the lack of anti-phishing features. According to the devices you are interested in, there are solutions that can meet the needs of even the most discerning customer. Panda ensures that all OS and devices get the quality standards of online protection that they ought to. Windows and Mac, iOS and Android are fully supported, with Windows 8 being the optimal OS that is compatible with the protection software of Panda. As stated above, Panda can provide solid protection to mobile users (both Android and iOS devices, that is). You can get premium security and performance optimization that suits your own expectations at an added fee. Remote locking and tracking of your device is also available, which helps you rest assured of the precious mobile devices of yours. Another qualitative feature that Panda offers is the control and permission of apps that are downloaded, based on their lack of risks concerning the privacy and protection of the mobile device. Having reached the end of our review, we can conclude as to its overall quality. The software has got reliable anti-malware and spyware features and can help you out towards keeping all threats at bay. Nevertheless, falsely detecting files as malware can be disappointing at times. Tech support is great and the option of remote-control diagnosis is a true blessing in times of need and especially for people who do not know that much in computing. As a whole, Panda offers solutions for all budgets and can help you upgrade your protection (always at a fee). 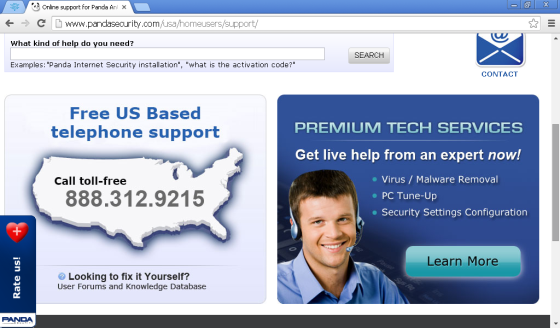 Free antivirus is unfortunately basic. With Panda antivirus malware is effectively dealt with, though there have been issues of false detection. Phishing is not something Panda has confronted with in detail, which is rather disappointing. We have embraced their remote tech support, though! For advanced features and more thorough protection, the Pro is a must-have.